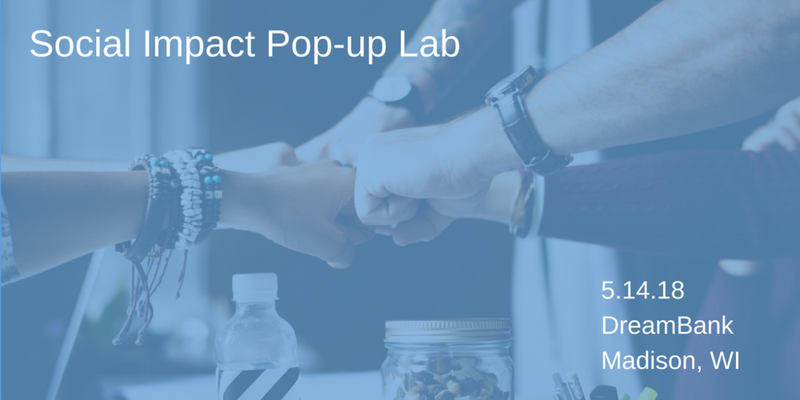 Join us and other passionate change-makers in social impact to find out at our Social Impact Pop-up Lab on Monday, May 14th from 3:00 pm - 5:00 pm. This will be a fun, interactive event, packed full of info you don't want to miss that will prepare you to go back to the office and work in new ways. You will learn about (and practice some too) what innovation looks like in the social impact sector and how to infuse innovation to create value for those you serve more efficiently and effectively.